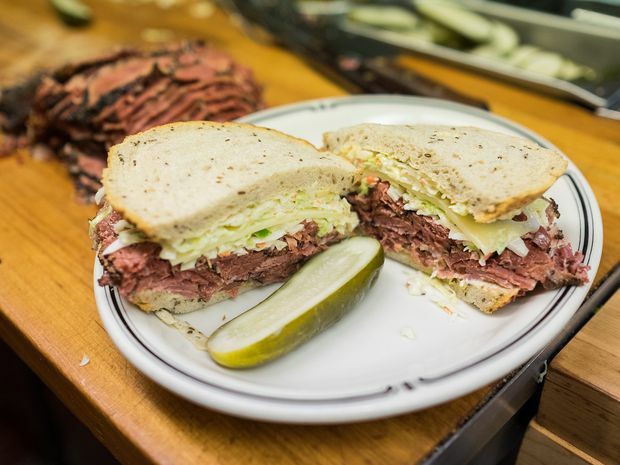 Perennially considered the best pastrami sandwich in the country, Langer’s produces some of the finest deli meats anywhere. Opened since 1947, their legendary number 19 sandwich is a crowd-pleasing favorite, with hand-sliced pastrami, swiss cheese, Russian dressing and coleslaw served between two plush slices of rye bread, it’s a massive sandwich that can easily be shared between two people. Don’t sleep on the corned beef or any of the other classic deli plates either, because they’re excellent. And that lunch crowd has an unbeatable, classic ambiance.